We execute thermal insulation of casings of turbine generator units and chambers of shut-off and control valves. - "ELTUR-SERWIS" sp. z o.o. 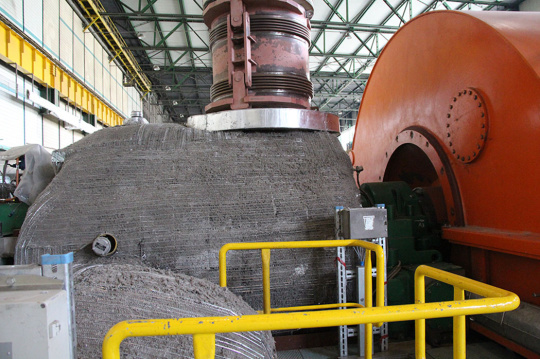 We execute thermal insulation of casings of turbine generator units and chambers of shut-off and control valves. The Company offers the execution of thermal insulation of casings of turbine generator units and chambers of shut-off and control valves using a dry mixture consisting of mineral wool fibres, special cement grades, and DOSSOLAN 4000 T modifying additions used as insulating material. The material is applied by means of special pumping and spraying equipment. 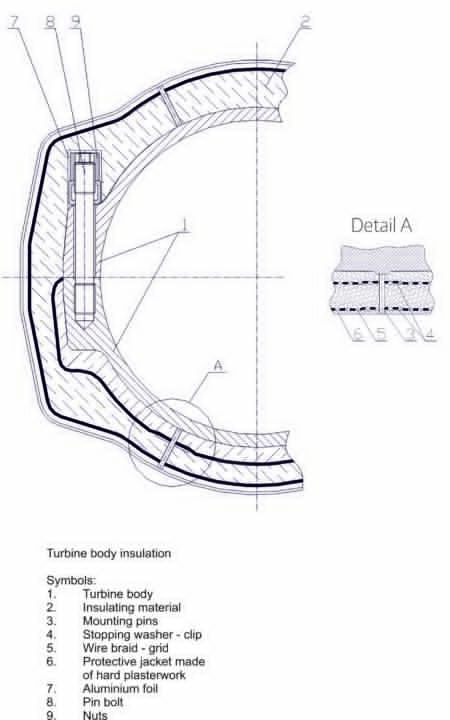 The role of thermal insulation is to prevent excessive losses of heat energy, to prevent the occurrence of excessive thermal stresses and deformations, and to reduce the temperature in the Turbine Hall. 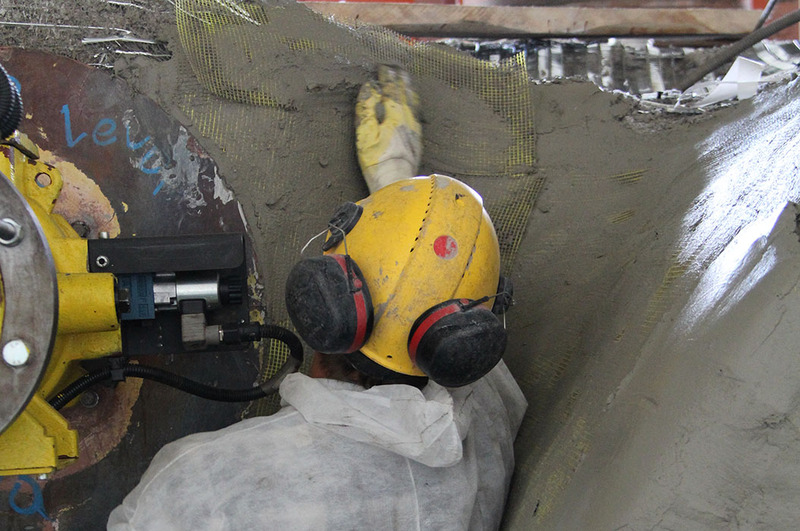 The insulation spraying technique allows the reaching of hard-to-access places, and the laying of the required thickness during one spraying cycle. The laying of insulation involves the fragmentation of fibres in a device, and the pneumatic transport of fibres in a hose to the outlet nozzle, where the obtained material goes through sprayed water, which activates the binding agent. It is a thermal insulation with excellent insulating properties, made of mineral wool fibres, with no asbestos, and is non-flammable. The completed insulation does not require external treatment. However, to make it fully water-proof and resistant to mechanical damage the hard plaster jacket is laid manually and then epoxy paint is applied. “ELTUR-SERWIS” Sp. z o.o. 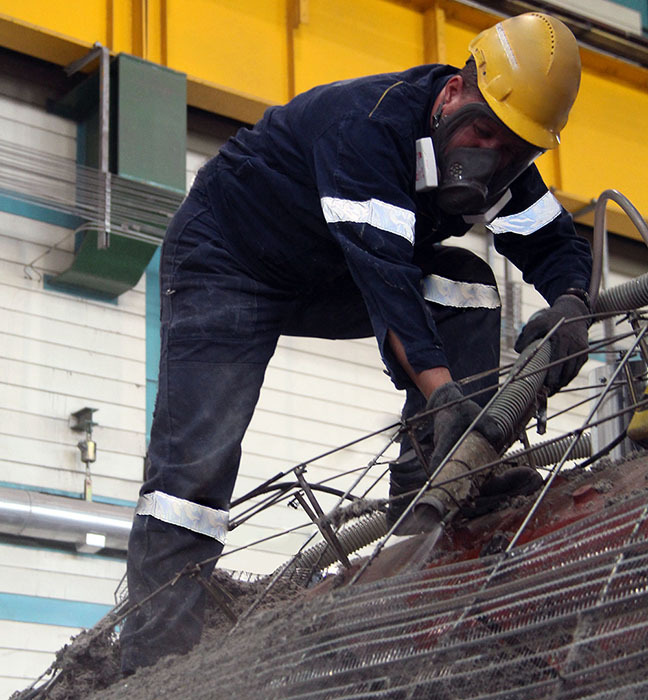 has long-term hands-on experience in the application of thermal insulation during overhauls of turbine generator units at PGE GiEK S.A. Turów Power Plant Branch.